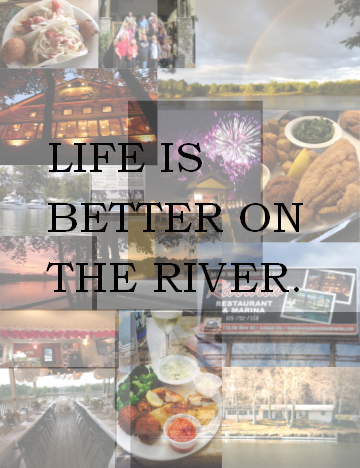 Riverview Restaurant & Marina - What's Up At Riverview? Riverview Restaurant & Marina is pleased to announce that it has been selected as one of The Tennessean Top Workplaces. We are so happy to be included in this distinguished list. We frequently tell people that we are so lucky to have such great people to work with everyday - we're glad they feel good to be here too & we look forward to great years to come! enjoyed being a part of it. here for a link to the show. Riverview Restaurant & Marina was also reviewed in The Tennessean newspaper. We love to get great feedback from our customers, and really appreciate their kind words. Please click here to see our review in The Tennessean. Although we longer have the buffet on Fridays and Sundays, you don't have to miss those small bite-sized "Friday Style" fish pieces. You can order it anytime you visit us - just ask your server!